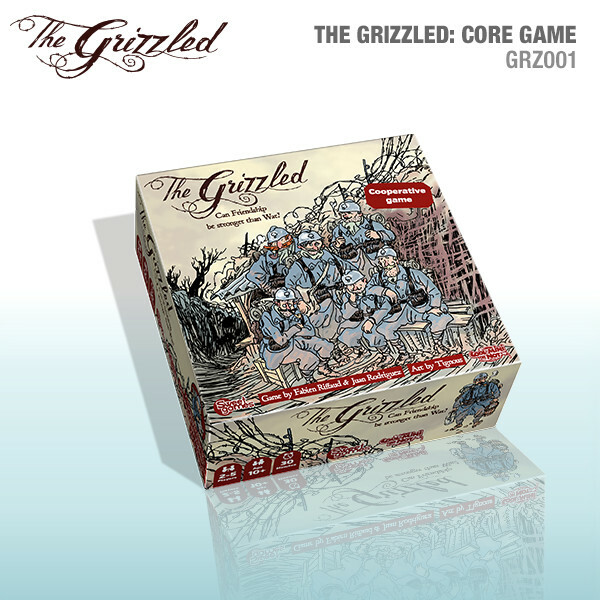 In The Grizzled, you and your other squad-mates must head out on missions, playing cards from your hand into the center pile. But if you end up with three of the same symbol out there, the mission is a failure. There's also plenty of danger out there, and you can end up being wounded. Too many wounds and you'll die. The object of the game is to uncover the peace monument before the memorial. If the memorial is uncovered, or if any of the players die, then everyone loses. I had a chance to play the game at the CMON Expo this past year and I really enjoyed it. It seems things are going along so nice and easy, but then it quickly crushes your soul (in a good way). You can pick up your copy now from the CMON webshop.